The canopy tracks vary between 2 to 12 meters above ground level. 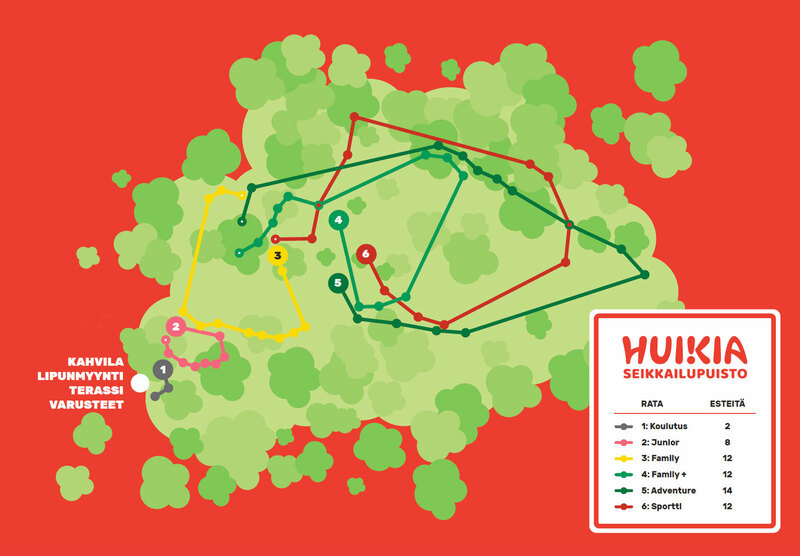 Huikia has six tracks with varied difficulty levels in which all adventurers can find appropriate challenges. The first tracks, are ideal for beginners and for example families can go through together. These tracks are made up of various types of elements, from crossing bridges, climbing net walls and zip-lining in various ways. The last tracks, are slightly more demanding than the basic tracks. These tracks provide more excitement and challenges; special zip-lining, swinging over the tree tops and climbing walls all at great heights.